STORY UPDATE 4/25/18: The day after this story was published (and a public outcry ensued), Seaside Heights officials reversed course and said they have decided against the plan to allow dogs on the boardwalk. You can read the update story here. 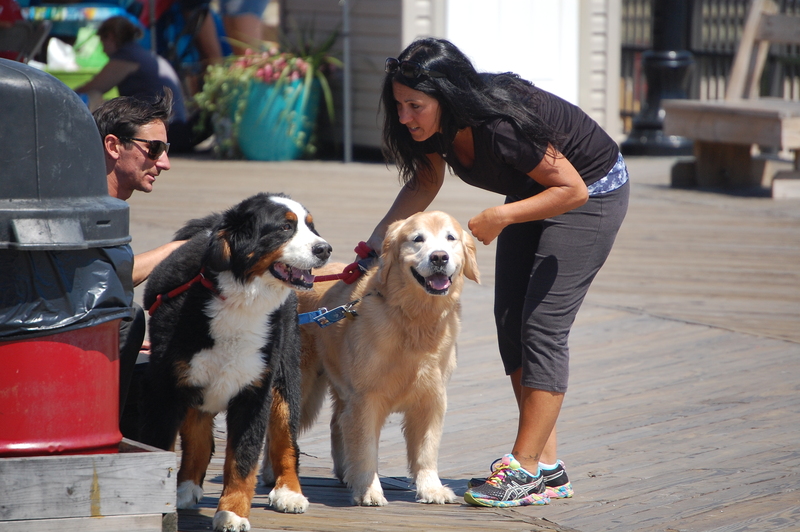 Seaside Heights boardwalk visitors would be able to bring their four-legged friends with them most of the day, all year long, under a new ordinance introduced last week. In what officials are calling a pilot program, the ordinance authorizes leashed dogs on the boardwalk between 6 a.m. and 9 p.m. The ordinance, as introduced, expires at the end of 2018 but could be permanently enacted if there are no problems. It also comes with regulations – and it hasn’t been placed into effect just yet. The ordinance will be the subject of a public hearing at the May 2 borough council meeting, as required by state law, followed by a second vote. The public hearing may prompt some debate between supporters and detractors. The May 2 meeting will take place at 5 p.m. at the municipal complex.